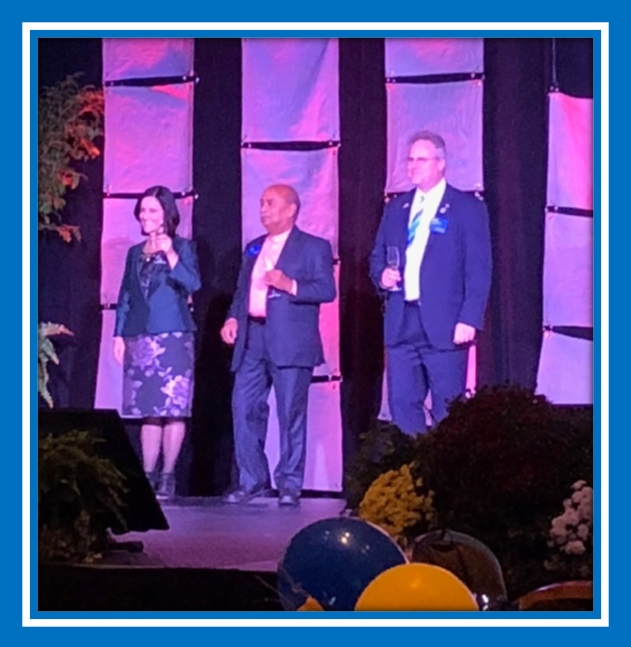 Last week, a number of representatives from District 7330 attended the Celebration Zone 28-29 Institute in Erie, Pennsylvania. International Director Nominee and PDG Stephanie Urchick, District Governor Nominee Al DeLucia, Past District Governor Steve Arnowitz and wife Colleen, Future Leader Owen P. Standley, Membership Co-chair and PDG Mary Berge and husband Ivar, PDG Ron Aldom and fiancé Sandy, and I along with my husband Mike, learned more about Rotary and listened to inspirational speakers. Zone Institutes provide training for those in district leadership positions. For those in the District Governor line and their spouses, those trainings are quite thorough. Topics run the gamut of Rotary basics to sexual harassment. Each year group is part of a class that starts meeting as District Governor Nominees, which allows the class to build relationships as participants share this Rotary journey. My classmates have become friends who exemplify the Object of Rotary. While some represent small district geographically or membership-wise, others have like long hours of “windshield time” as they travel to visit clubs. Our spouses have also become a close-knit group, who share the joys and frustrations of their unofficial, yet important position, too. 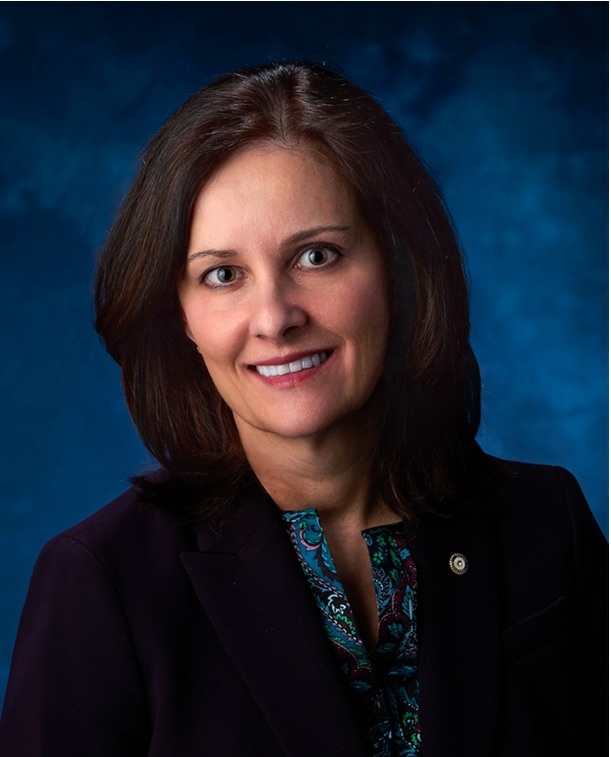 Four districts in Pennsylvania, 7280, 7300, 7330, and 7360, will soon be part of Zone 33 and next year our own PDG Stephanie Urchick will become Co-International Director for Zone 33. The Board of Directors establishes policy for Rotary International and provides guidance that helps our clubs thrive. Clubs elect the members of the board every year at the international convention with each director serving for two years. Not many reach this leadership level and even fewer women have been elected as Rotary International Directors. This is quite an honor for Stephanie and her voice will help to shape the future of our organization. Another highlight of the Celebration Zone for me was serving as an aide to Deepa Willingham. Deepa, a PDG from Santa Barbara, California, spoke to attendees about human trafficking. She shared that Washington County has the second highest rate of human trafficking in Pennsylvania. Interstates 70 and 79 provide a gateway from New York to other parts of the country and traffickers are now inserting GPS tracking devices under the skin of their victims. In addition to prostitution, slave labor is also one of the purposes of human trafficking. 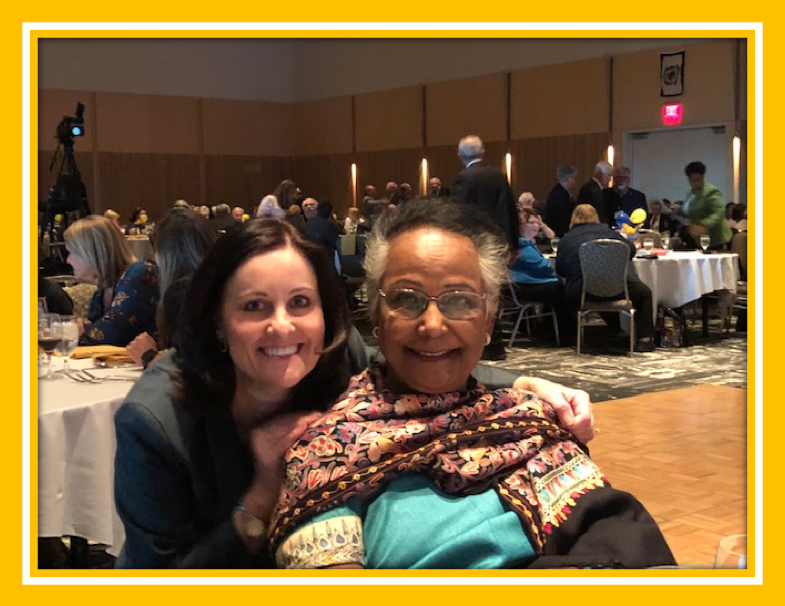 Deepa has started a foundation to counter human trafficking and at the age of 78 still feels compelled to speak out on the issue to raise awareness. I encourage each of you to get involved in Rotary beyond the club level. Rotary provides so many opportunities to learn and grow. October 20 – One Rotary Summit. This district-sponsored training is open to ALL Rotarians and will be led by District Trainer Pam Moore. Registration is now open! November 10 – Rotary Foundation Caribbean Celebration. What better way to ease into winter than with an island-inspired evening in support of The Rotary Foundation? Magician and Rotarian Bill Gormont will amaze us with his performance, while rumor has it that DGN and Event Chair Al DeLucia may even offer calypso lessons! Ongoing – Are your club goals set in the online Rotary Club Central? Are you working on the Crystal and Presidential Citations? Are you wondering, “What goals, what citations?” If so, your Assistant Governor is available to help your club. Club presidents, pull out that notebook that you got at PETS to review the citation requirements. Clubs throughout District 7330 are doing good works and the citations are a small token of appreciation for those efforts. To quote my daughter Kimberly, who graduated from the University of South Carolina, “All y’all” inspire me! Rotary Club of Indiana-Midday saluted heroes in their community with American flags. Passers-by wanted to know how they can participate next year. DG Cherie, DG 7330 Singh Ajmani, and DG 7280 Scott Bayline delivered toasts at the Celebration Zone in Erie. Deepa Willingham at Zone Institute after her inspiration message about human trafficking. 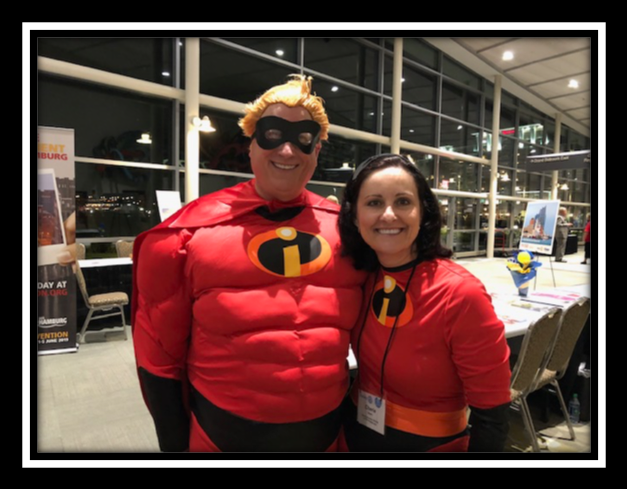 Rotary International Director Robb Kneupfer with DG Cherie donning superhero gear for the Friday evening party at Zone Institute.